ProTech Roofing in Centerville, Utah uses only top quality roof tiles from Bartile for new tile roof installations, and for wholesale roof tile sales to business. These premium roofing tiles are durable, efficient, effective, long-lasting, attractive, and come in a wide variety of styles, colors and textures so you're sure to find the perfect material to suit your personal preferences. All our roofing tiles are backed by a 75-year guarantee with proper installation, so call ProTech Roofing at (801) 691-7720 today for a free quote! 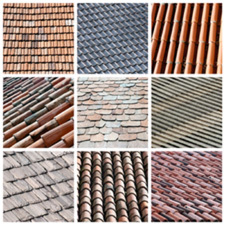 Tile roofing is an exceptional choice for any home or business, providing not only timeless beauty and increased curb appeal, but also saving money over the long run. Although the initial installation cost of asphalt composition shingle roofs can be half that of tile, tile roofs generally last at least four times longer than composition. This means the cost of tile is actually much lower per year than cheaper asphalt roofing materials. Our premium wholesale roof tiles are built to last, exceeding class A fire ratings and class 4 hail ratings, as well as standing up to wind speeds up to 120 miles per hour. Lightweight, standard and heavy-duty varieties are available, depending on your specific application, and there are literally thousand of style-color-texture options to choose from. Our tile roofing professionals are here to help guide your choice, so for answers to questions or to schedule a free quote, call 801-295-3443 today! To learn more about custom tile roofing and wholesale roof tiles in Utah and Idaho, call the tile roofing professionals at ProTech Roofing in Centerville at (801) 691-7720 to schedule a free quote. And remember to check out our money-saving special offers!